A short break to recover in the Moselle valley and at the Weinromantikhotel Richtershofcombines delight, nature, culture and relaxation in a very special way. Different restaurants, an idyllic park, the beautiful nature and countless tourist attractions invite you to stay and discover. The cosy beauty parlour ensures moments of deepest relaxation with its numerous treatments and massage rituals, the boutique Roman spa completes this offer. 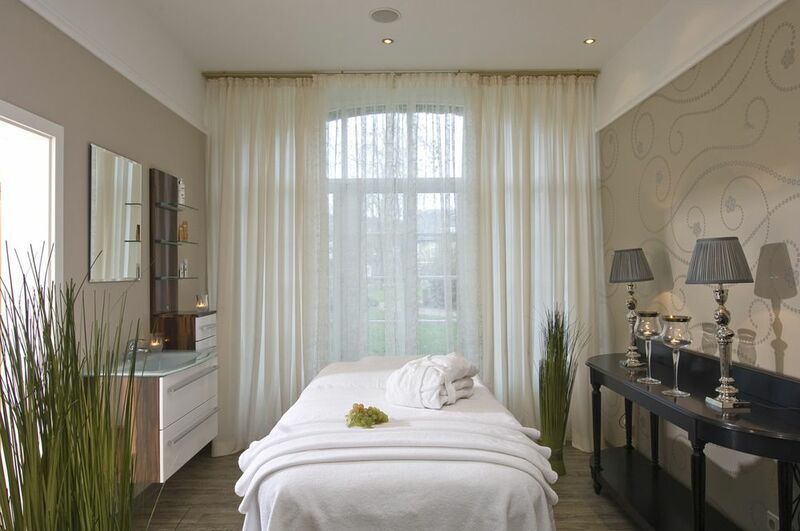 We want you to feel at ease, reconnect body and soul and treat your body with some tender loving care and relaxation. Therefore, our Beauty Atelier is fitted and tastefully decorated to an individual design just like every other room in the hotel, with stylish accessories and premium materials giving it a personal touch. 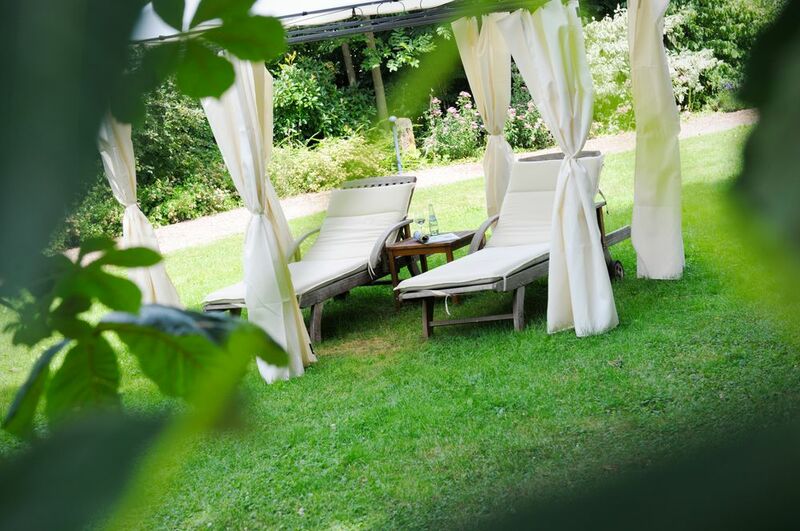 As soon as you enter this area decorated in warm shades of yellow, gold and cream during your holiday on the Moselle, you will experience a new dimension of well being. In a private atmosphere you can enjoy the innovative vinotherapyand numerous facial treatments, various massage rituals and relaxing baths in the crystal bathtub, whilst the cosmetic tooth bleaching gives you a radiant smile. Whether after a treatment in the Beauty Atelier or an eventful day out: Our little Roman spa is a free-of-charge offer for our guests and, subject to availability, invites you to enjoy a relaxing time. It provides space for eight people and is equipped with a steam sauna, a Finnish sauna, a tepidarium and a multi-sensory shower with a number of effects. In addition, the patio overviewing the Romantikgarten is open in the summer months. There are special offers for our day-spa guests.